Hello! And welcome to part two of the Components of Health Lesson Plan series. 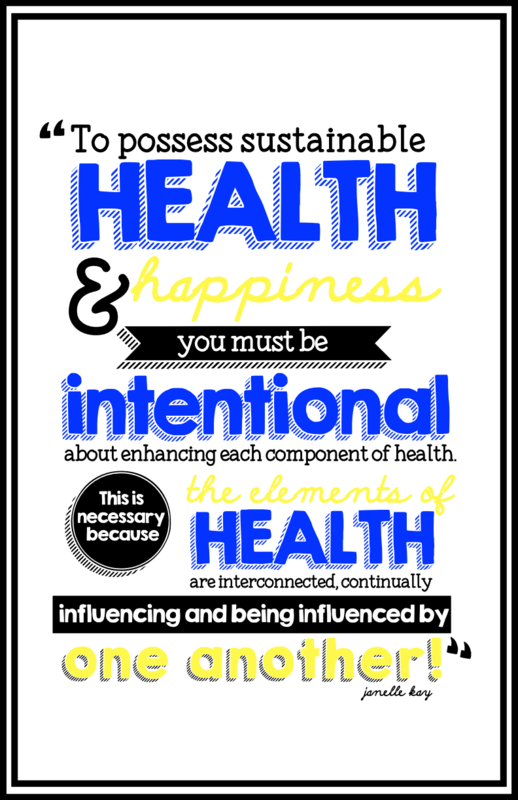 In first the installment of this series, I shared about the Components of Health Learning Stations and focused on empowering students to foster a basic understanding of each component of health. In today’s post, I am going to highlight students learning how each component connects to the other seven components. To teach my students about the interconnected nature of health, I created this Just Post-it Components of Health activity. In class, I divided students into groups. Normally, I let kids chose their own partners but for this activity I wanted to make sure they were equally paired. 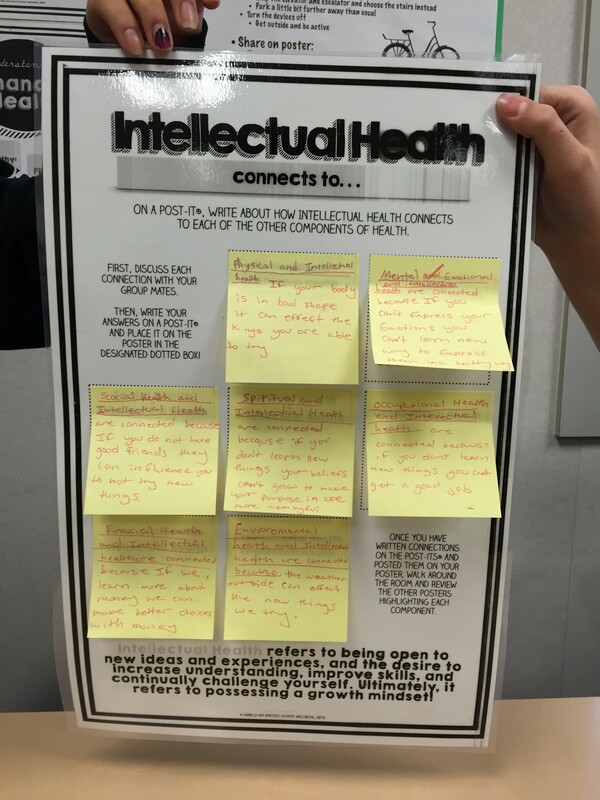 In their groups, students read through the guiding questions, discussed the answers, and then wrote how they thought the two stated components of health connected to each other on a Post-It®. For the most part, I was impressed with the students ability to take ownership of their learning and use the guiding questions to make connections. The Spiritual Health group was the only one that struggled. I find that students often get caught up thinking that Spiritual Health equals religion and that is not true. While religion plays a role, Spiritual Health is about living with purpose and meaning while upholding individual beliefs and values. In the future, I’ll use the Spiritual Health poster as the example we do together as a class. Overall, I was happy with this activity and I felt like it really helped my sixth graders better understand the interconnected nature of health. Additionally, these posters served as a helpful resource with my seventh and eight grade students while they worked on their final project. More on the final project next time. Looks great! Learning about health when young impacts your whole life. Thanks for the positive words!! !